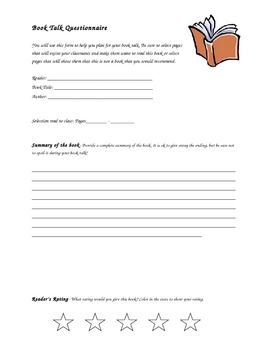 This is a handout that students can complete prior to giving a book talk in front of the class. 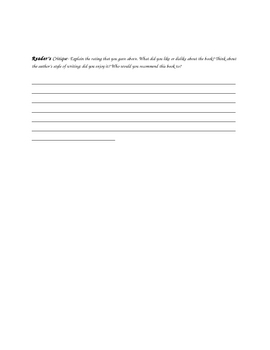 It allow students to plan what they are going to say and which passage they will read to the class. Students will provide a summary, a star rating, and a critique of the book. It also serves as a check for teachers who want to verify that students have read the book and gives them something tangible that they can provide a grade for.